Paris in the 1930s was the theme for this expansive Scarsdale kitchen fashioned from an assembly of small dark rooms. 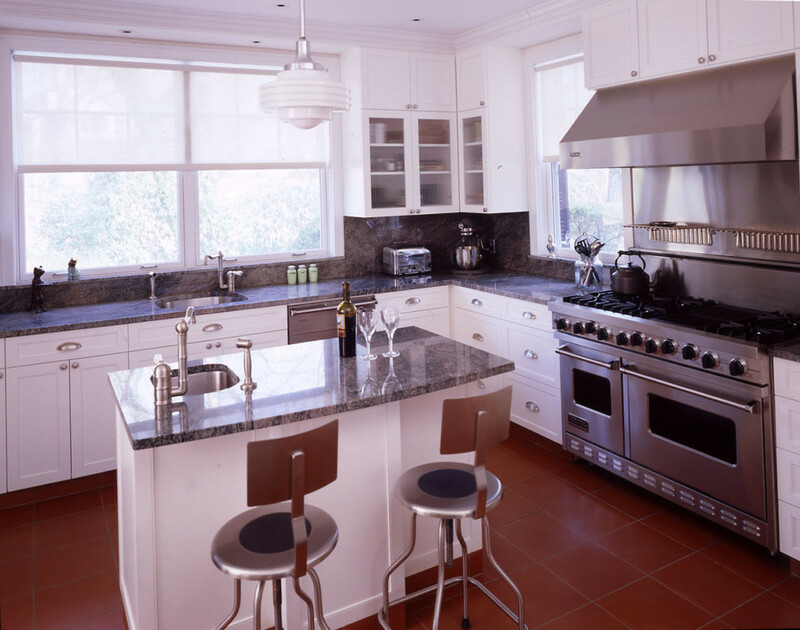 Large new windows and painted white cabinets make this now a bright and cheerful place to cook and socialized. 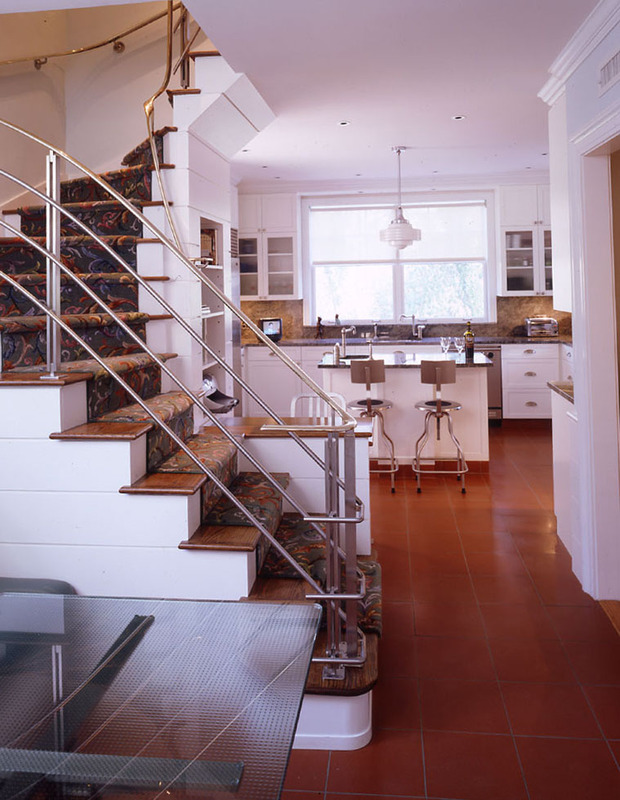 The back stair, which separated the original breakfast room and kitchen, was removed along with the walls enclosing it and replaced with an open stair and Art-Deco inspired railing made out of brushed nickel. 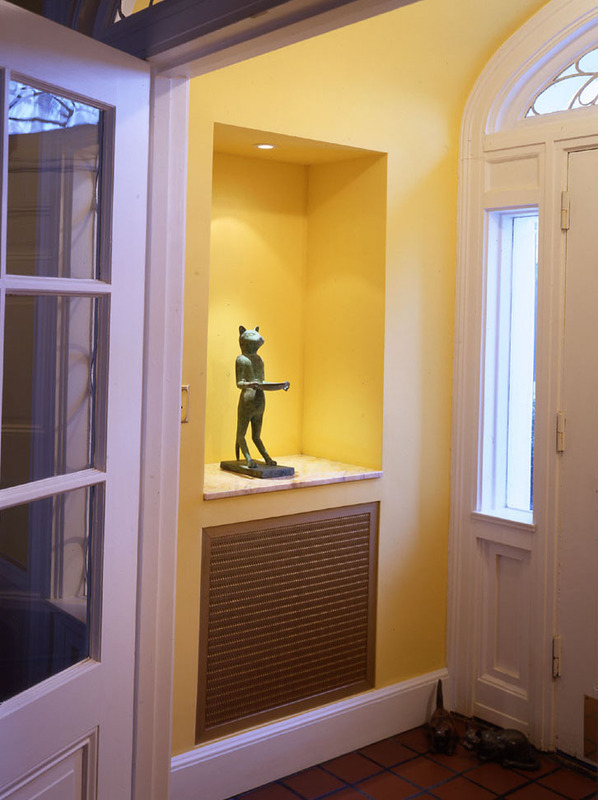 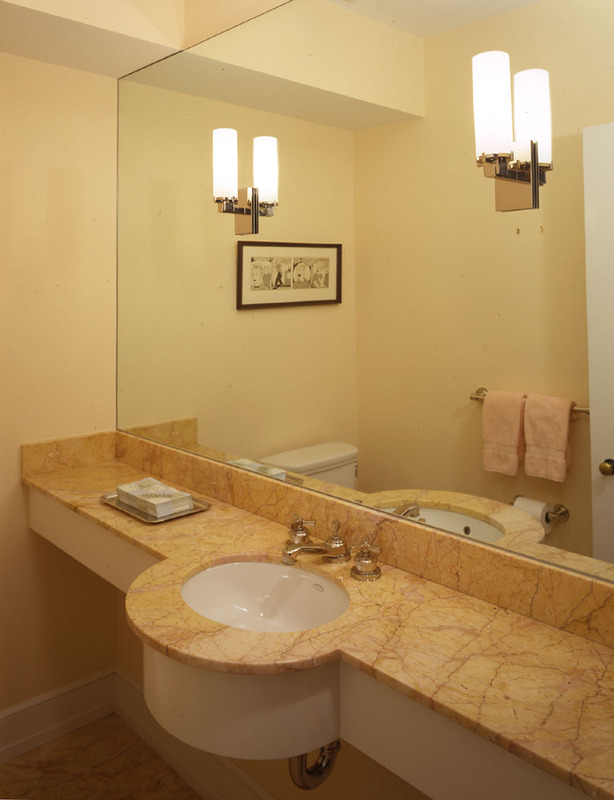 The four post design for the newel was replicated for the base of the custom glass table in the breakfast area.